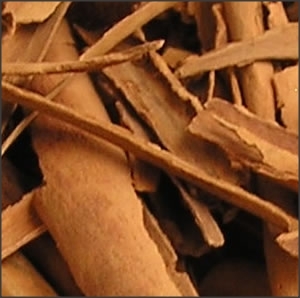 Cinnamon intake also was linked to significant changes in lipid levels, including decreases in levels of total cholesterol (−15.60 mg/dL), low-density lipoprotein cholesterol (LDL-C) (−9.42 mg/dL), and triglycerides (−29.59 mg/dL), and increases in levels of high-density lipoprotein cholesterol (HDL-C) (1.66 mg/dL). High degrees of statistical heterogeneity were detected in the analysis of all parameters except HDL-C. "Based on currently available literature, cinnamon may have a beneficial effect on fasting plasma glucose, LDL-C, HDL-C, and triglyceride levels in patients with type 2 diabetes," the authors write. "The high degree of heterogeneity may limit the ability to apply these results to patient care, because the preferred dose and duration of therapy are unclear."